Have a showroom that lacks atmosphere? Does your office space need a little background music? 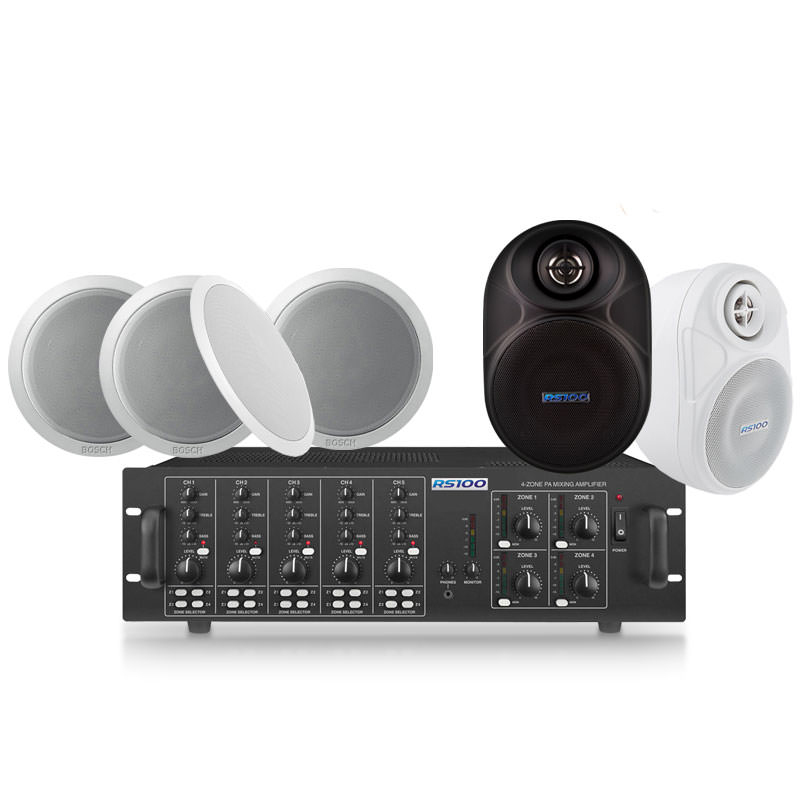 We have the perfect solutions for commercial areas needing sound systems installed. 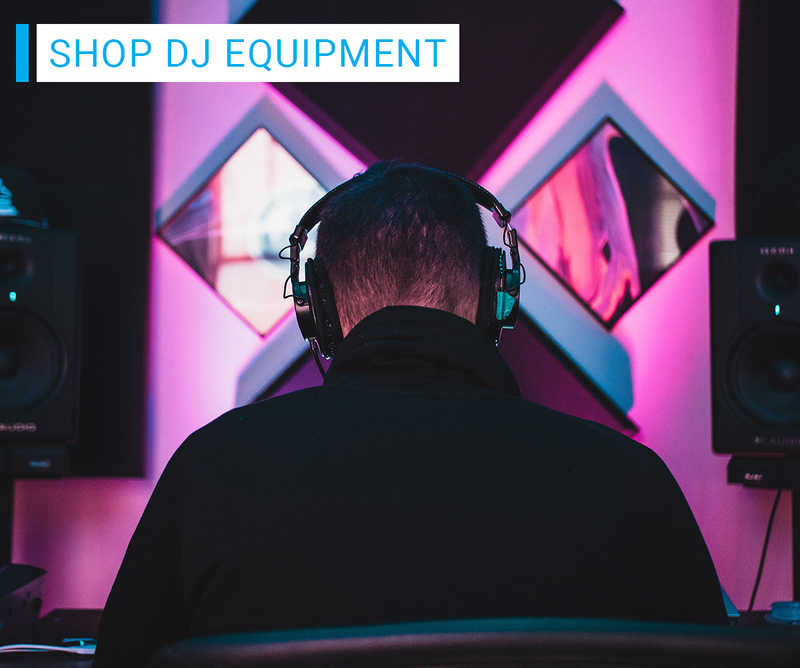 All of our commercial sound systems are configured for your area by us to ensure that no matter how large or open your area is, the music you want to play to customers and staff is evenly distrubuted, clear and of a superior quality compared to our competition. Practical applications of our commercial sound systems include multi-zone splitters, bluetooth streaming and in-ceiling speakers to ensure you have a neat and tidy install. Stream all the music you love conveniently through your mobile device. Control what music plays in which room through bluetooth connectivity. Connect any music streaming service including Youtube playlists to all areas of your venue. Prefer going old school? No Problem! All our systems have wired AUX cables and also some players have the ability to play CD’s. No matter how big or small your space is, experience an unprecedented audio quality from our RS100 audio systems. 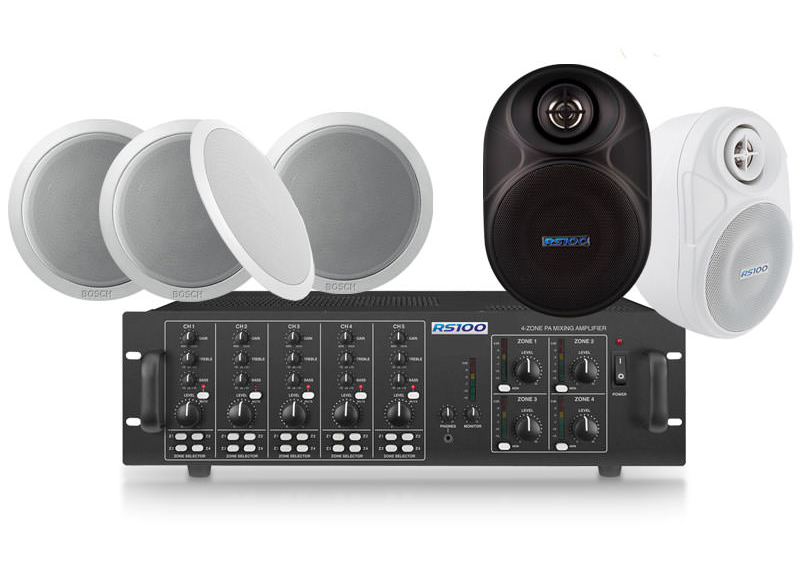 We have run extensive tests on many different speaker options to find the best sounding speakers for your background sound system so you can buy our systems with confidence. Many thanks for the professional advice before buying this system. I must admit I was a bit hesitate at buying this, as I thought the price was a bit cheap for what I was getting. I would like to say that the whole system has now been installed I am delighted at the quality of the sound and how easy it is for my staff to use. Thank you RS100, Regards Andrew Fairley. Why not show us your plans? Upload your site plans here for us to take a look at. We will then be able to offer you our recommendations taking all the guesswork out for you.